The initial explosion at Husky Energy’s oil refinery in Superior took place in the fluid catalytic cracking unit, a senior advisor with the U.S. Chemical Safety and Hazard Investigation Board said Tuesday. “That is a part of the distillation process where the crude oil is being heated and extracted to create gasoline and petroleum-based products,” said Tom Zoeller, senior advisor for the CSB. 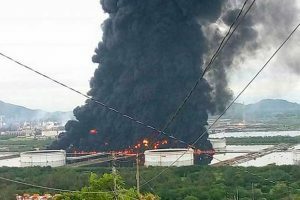 A series of explosions and fires at the refinery last Thursday injured at least 20 people and forced a temporary evacuation in the city. Zoeller said they plan to do a metallurgical analysis of the unit to understand why it failed. That type of analysis is designed to look at the physical and chemical properties of metal and is often done to determine failures or flaws in a piece of metal. “What they will look to determine is were their cracks in the metal, fatigue in the metal, that weakened it during the process of the shutdown when there were temperature or pressure changes that the metal failed and gave way, causing it to break apart,” said Zoeller. 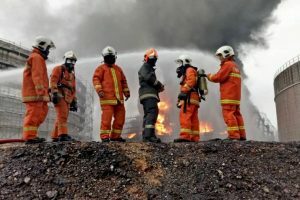 He said the safety board usually hires consultants to conduct an analysis to determine if any flaws or cracks existed in metal that caused the unit to fail. However, Zoeller said it’s unclear if the agency contracted with a consultant since it’s still early on in the process. The refinery was preparing for a five-week turnaround when the incident occurred. Zoeller said start-ups and shut-downs are generally the most dangerous periods for refinery operations. The investigative team hasn’t been able to access the interior of the refinery since they arrived late Thursday because it’s not structurally sound, Zoeller said. The team hoped to begin examinations within the refinery within the next several days or week. 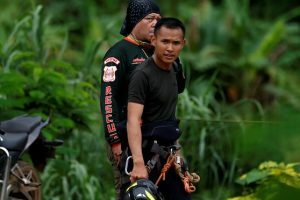 The safety board’s four-person team has been meeting with management to request documents, conduct interviews with employees and collect photographic evidence for the investigation. Zoeller said he expected the agency’s team to remain on site for the next week. The CSB investigates chemical accidents, identifies whether there are any gaps in safety that can be addressed, and makes recommendations. The agency does not have any enforcement authority or issue penalties related to their findings. Zoeller said the agency investigated a similar case at the BP America Refinery in Texas City, Texas, where a series of explosions occurred, killing 15 people and injuring 180 workers. 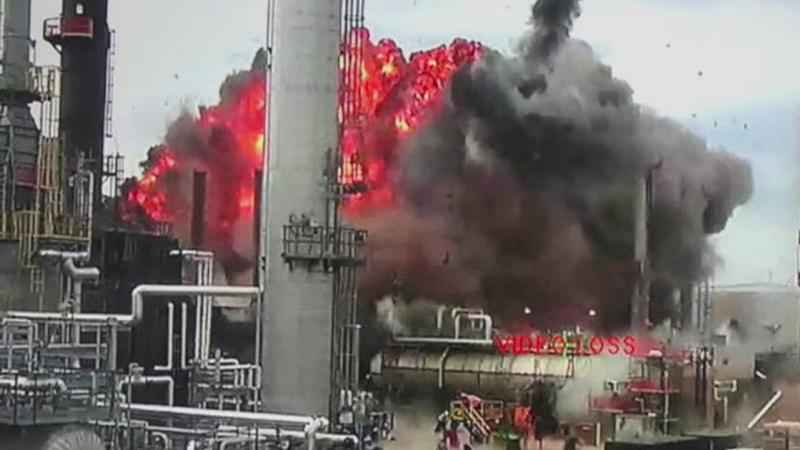 A distillation tower that was being restarted became over pressurized, leading to the explosion. Officials with the U.S. Environmental Protection Agency have been monitoring air quality near the refinery and surrounding community since last Thursday. They’ve been working with the Wisconsin Department of Natural Resources on water quality testing to monitor any runoff from the refinery in addition to water monitoring by the company. The agency determined Husky was using adequate resources to monitor air quality Monday. David Morrison, the EPA’s on-scene coordinator, is still overseeing Husky’s air quality monitoring in Superior and another agency coordinator is working remotely on air quality data. The DNR is also overseeing water cleanup and an oil boom that has been placed in Newton Creek to prevent any residual oil or firefighting product from reaching the Hog Island Inlet. Air monitoring updates are available on the Douglas County Health Department website. Kim Guttormson, spokeswoman for Husky Energy, confirmed Tuesday that company President and CEO Rob Peabody was in Superior meeting with employees and answering their questions. The use of hydrogen fluoride at the refinery prompted the evacuation last Thursday. On Tuesday, Superior Mayor Jim Paine posted on his Facebook page that he spoke with Peabody and chief operating officer Rob Symonds. Paine had earlier said that alternatives to hydrogen fluoride should be examined. Duluth Mayor Emily Larson also called for the refinery to end use of the toxic chemical on her Facebook page Tuesday.